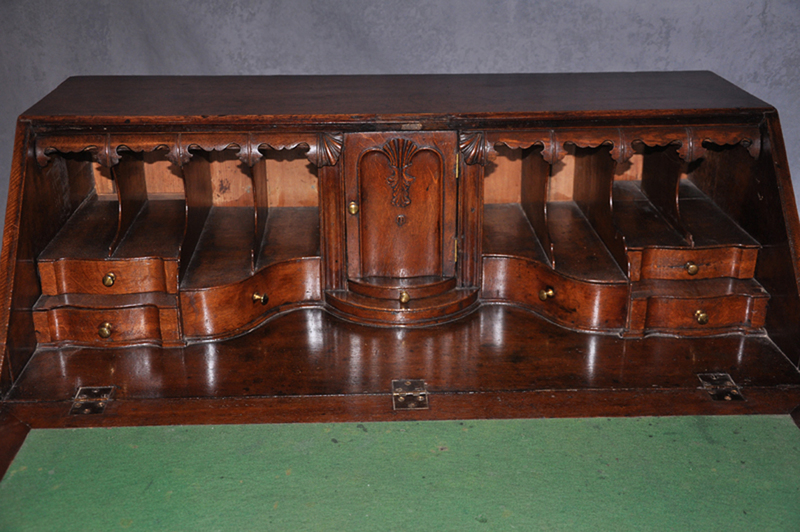 A fine 18th century oak bureau of good colour retaining its original handles with nicely shaped columns to the corners. 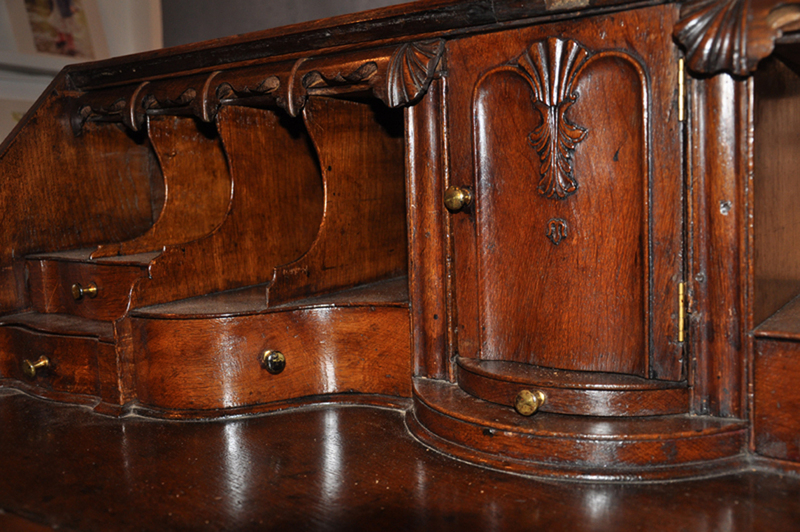 The interior is superb with carved freeze drawers flanking a central door with carved shell. 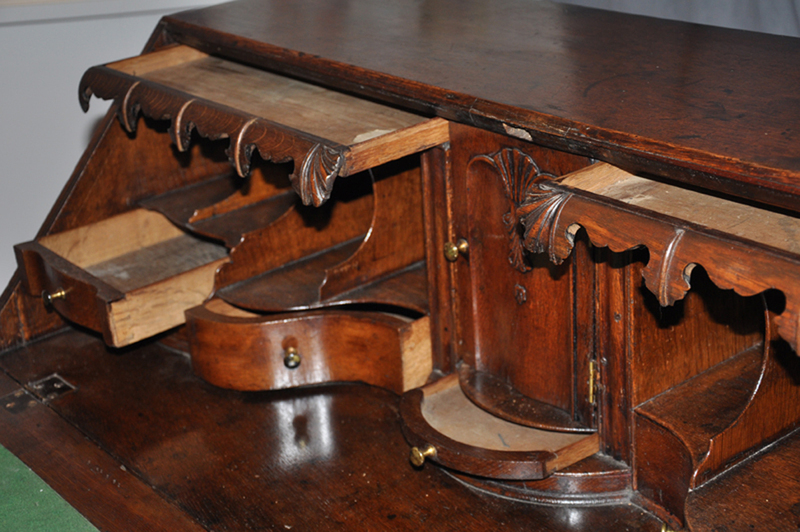 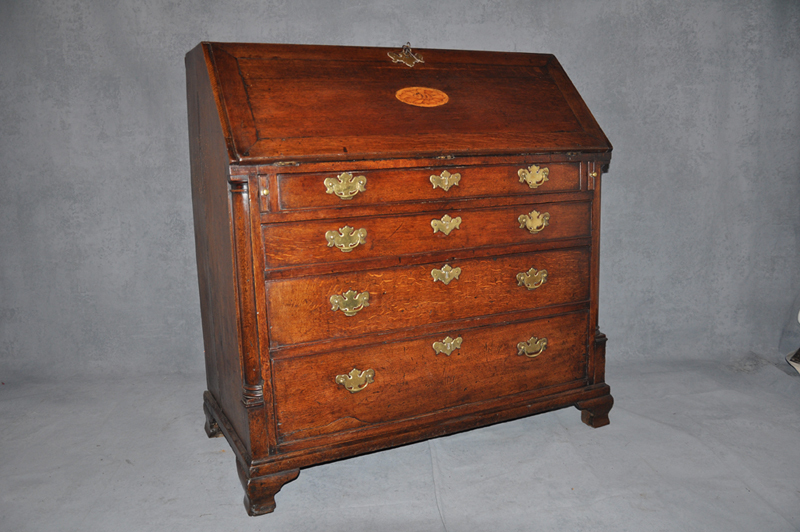 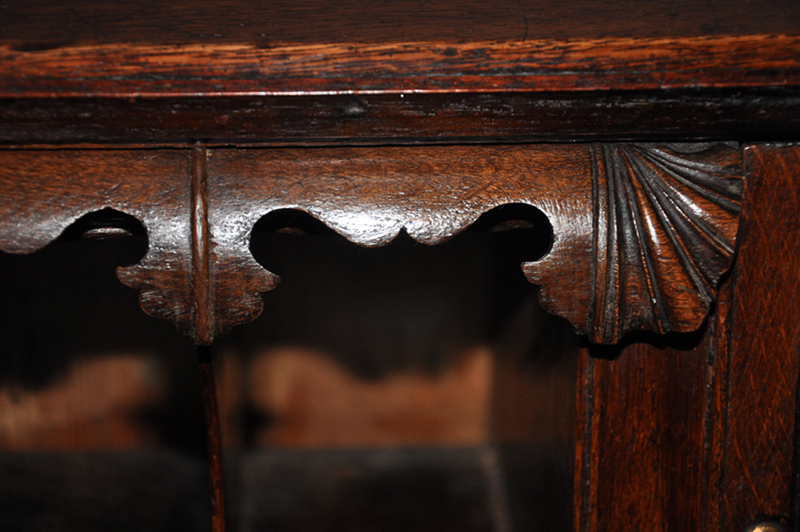 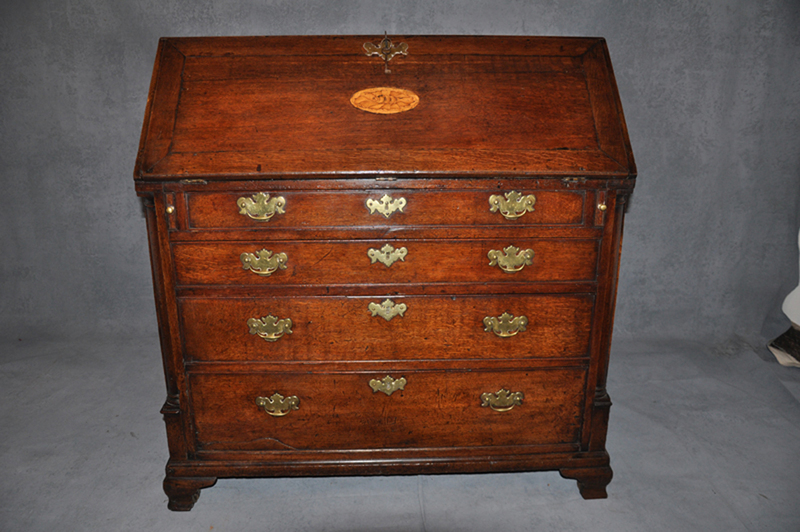 Wonderfully shaped drawers and pigeon holes compliment the piece very well.